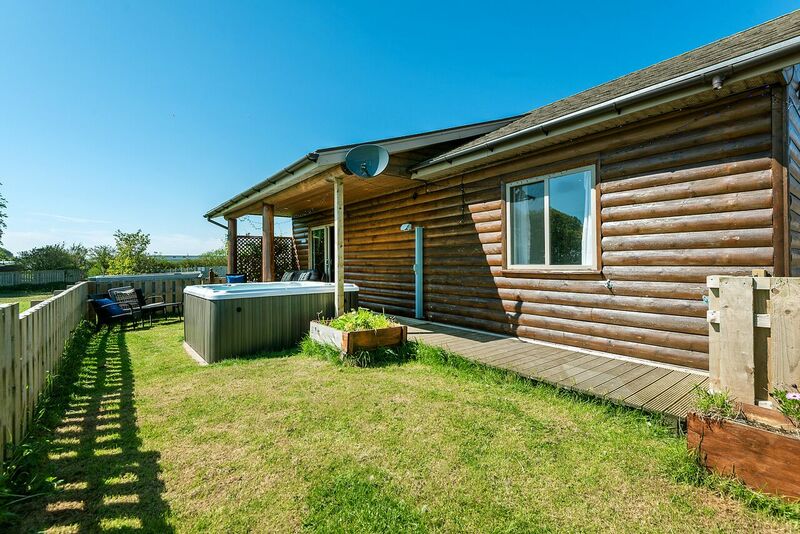 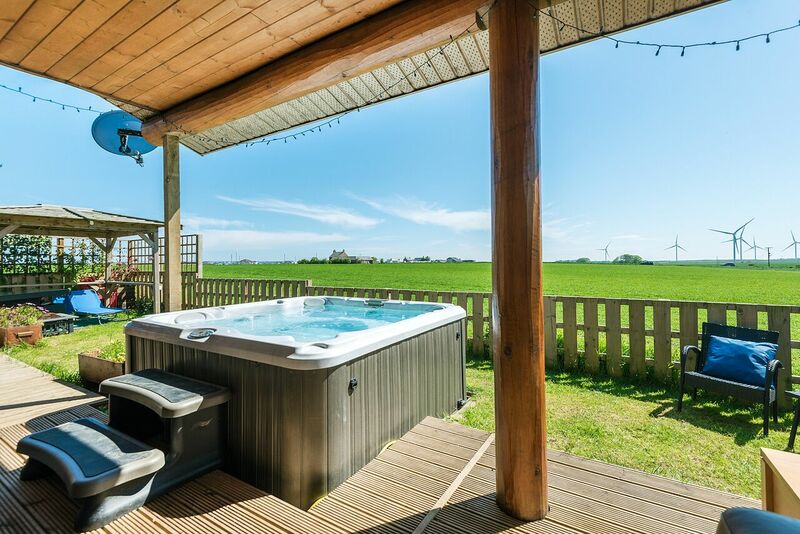 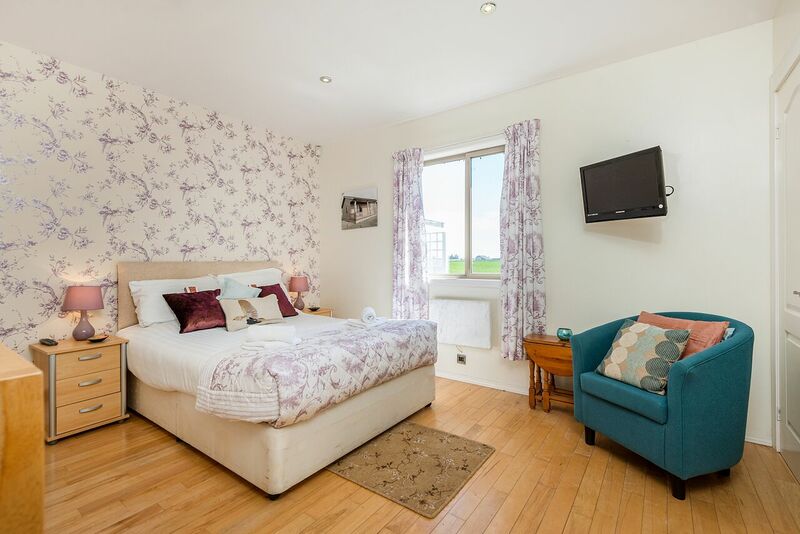 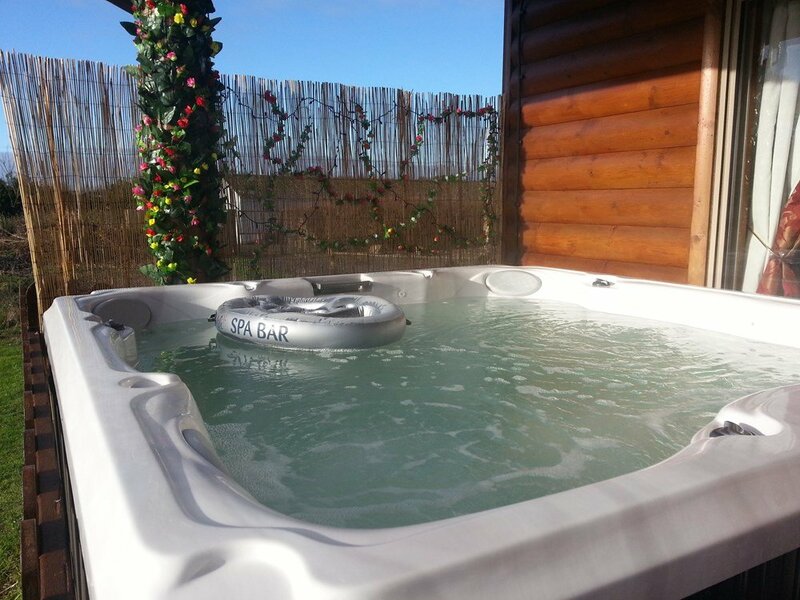 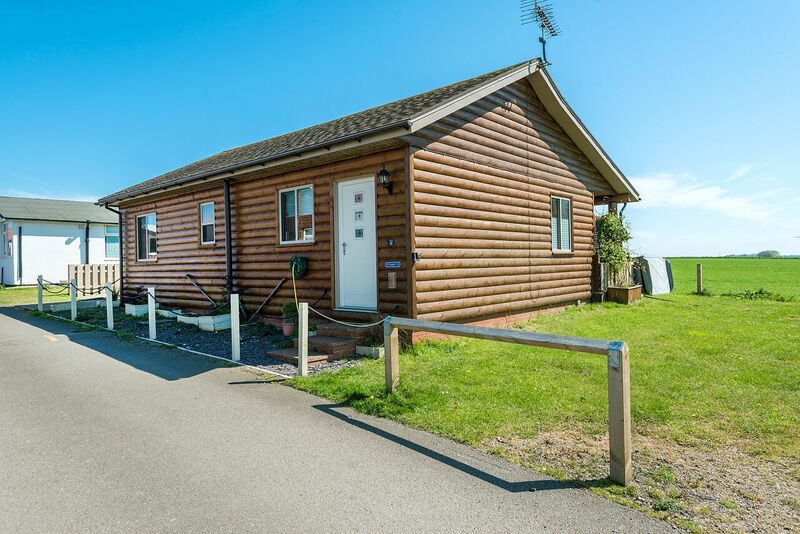 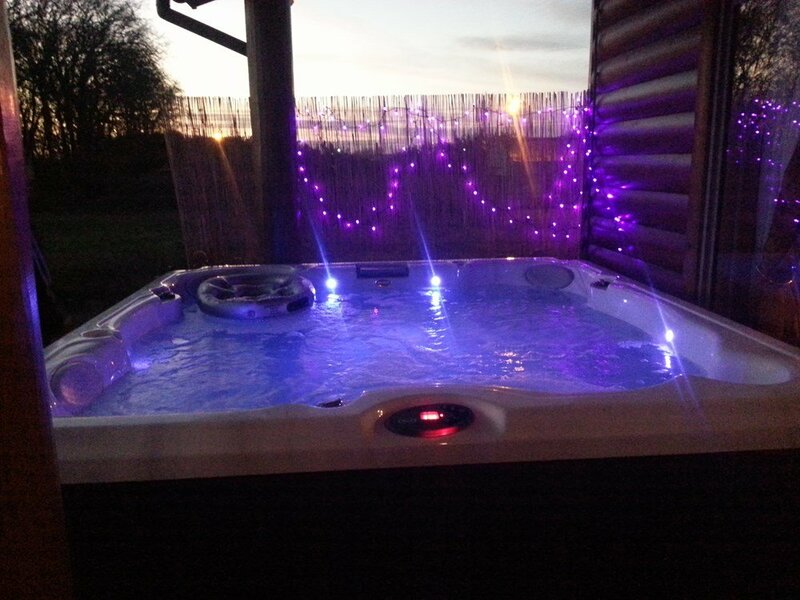 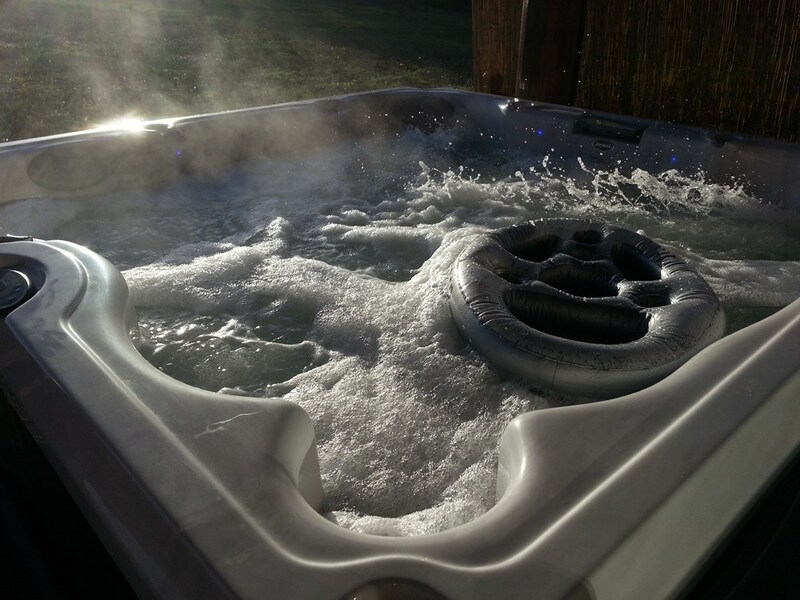 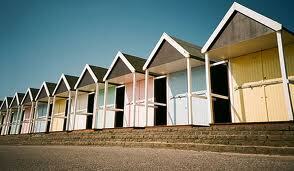 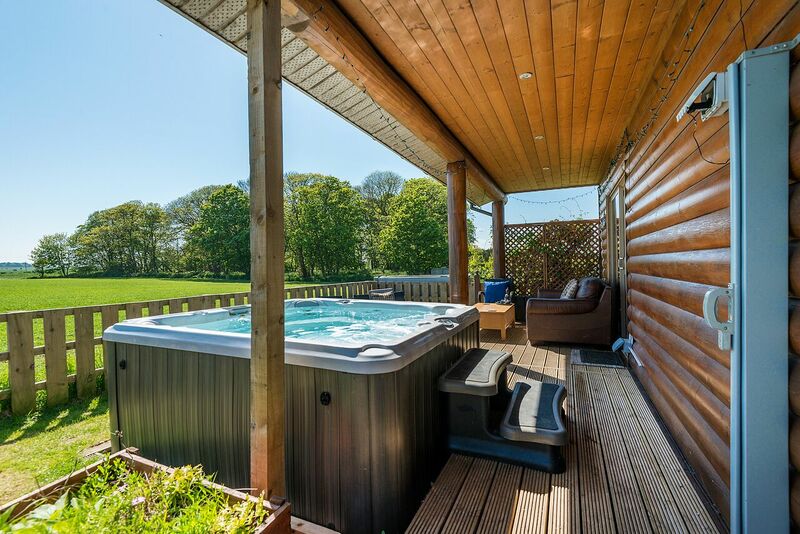 Prices are based on £50 per person per night with the Jacuzzi and sauna at peak times. 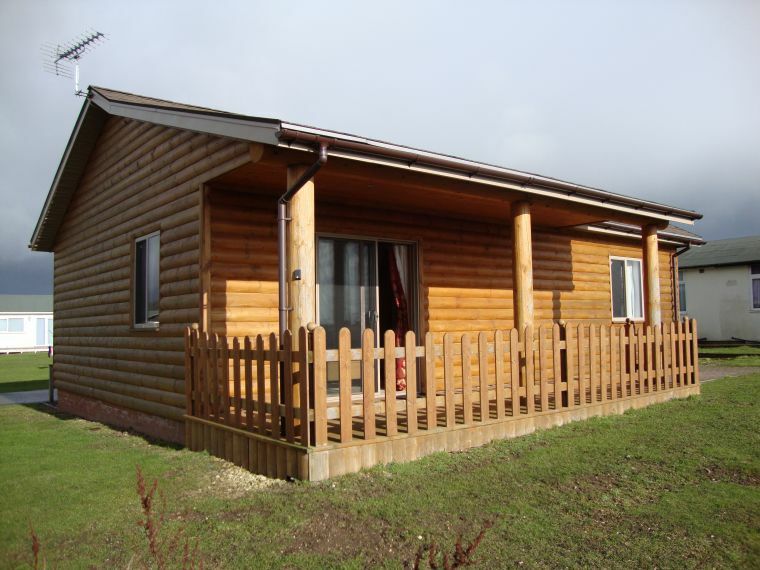 Stunning Log Cabin to sleep six with covered deck to the rear. 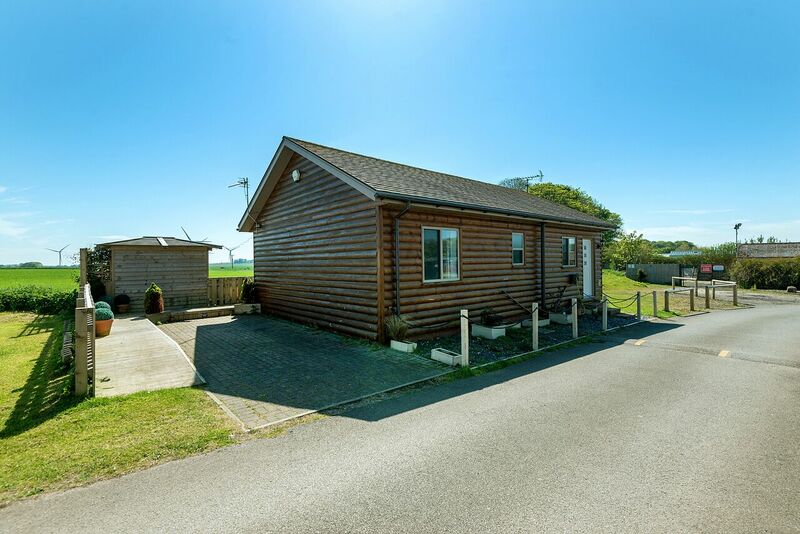 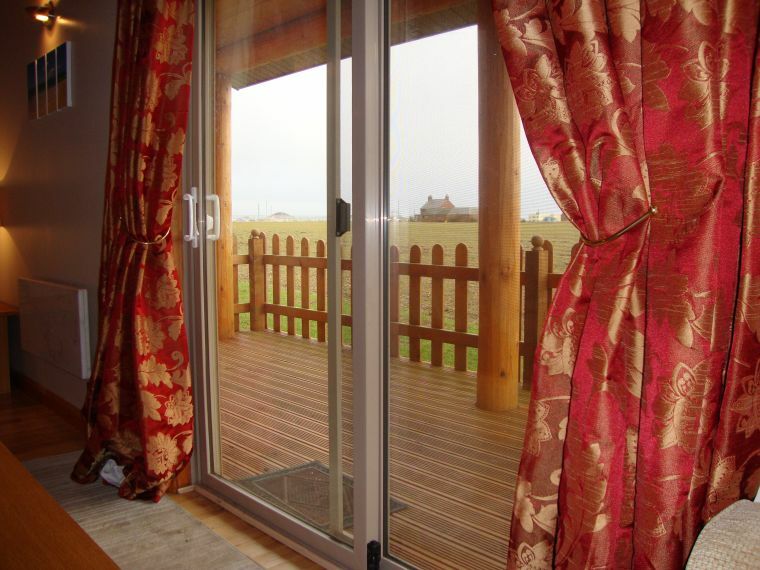 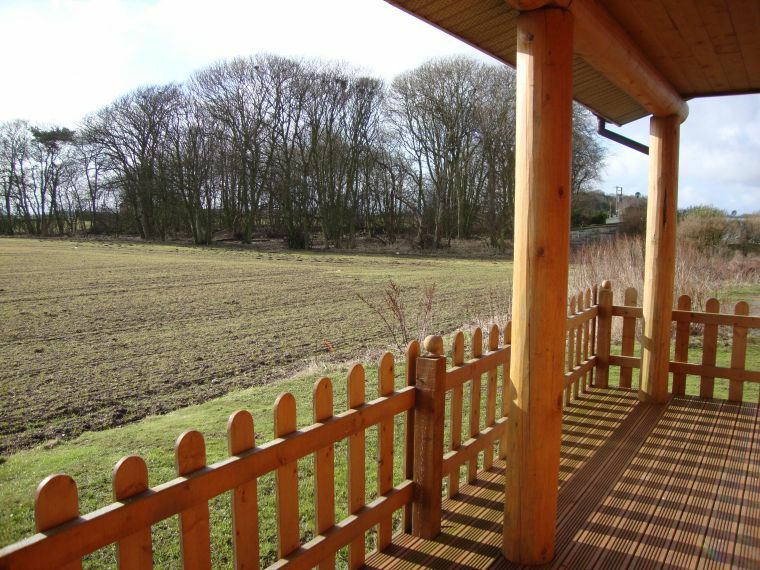 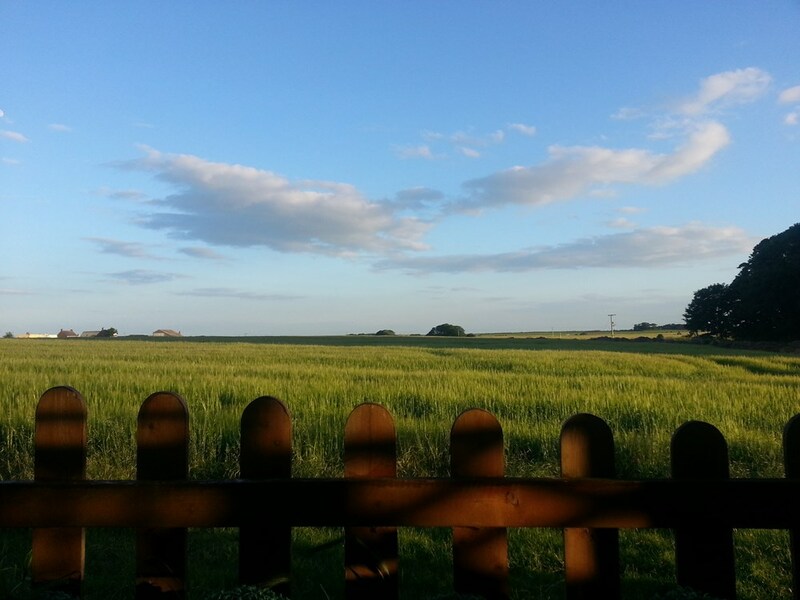 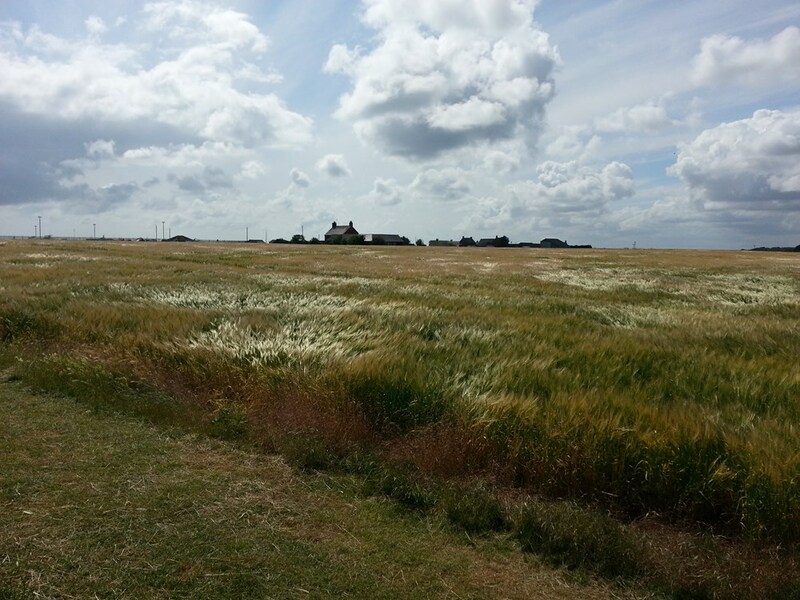 Views across the field to the sea, less than 400m away. 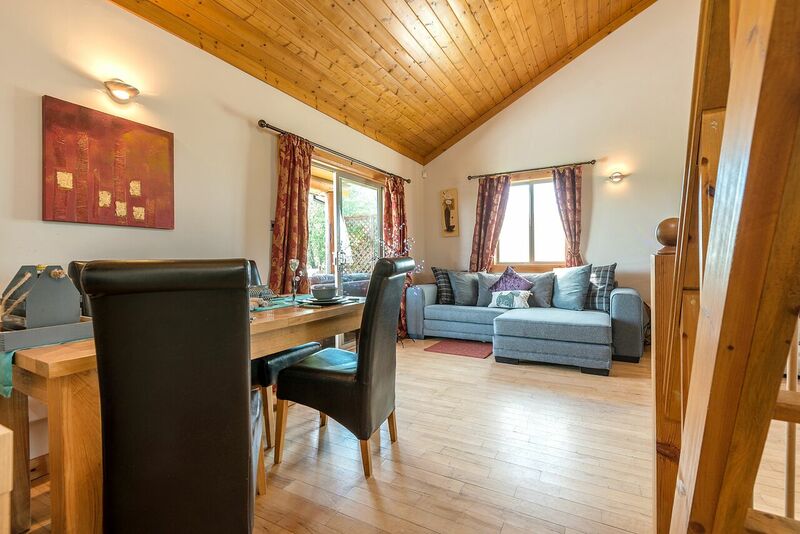 The open-plan living/kitchen/dining area with full height ceiling give a spacious feel to our Canadian Log Cabin. 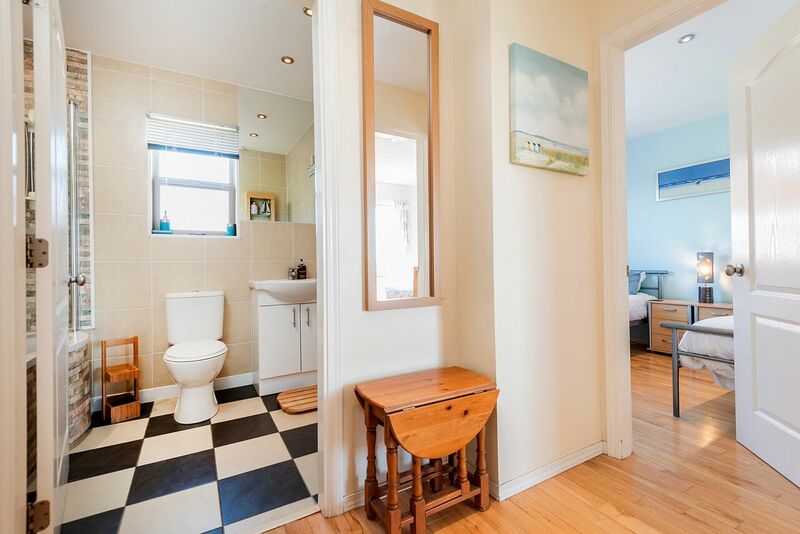 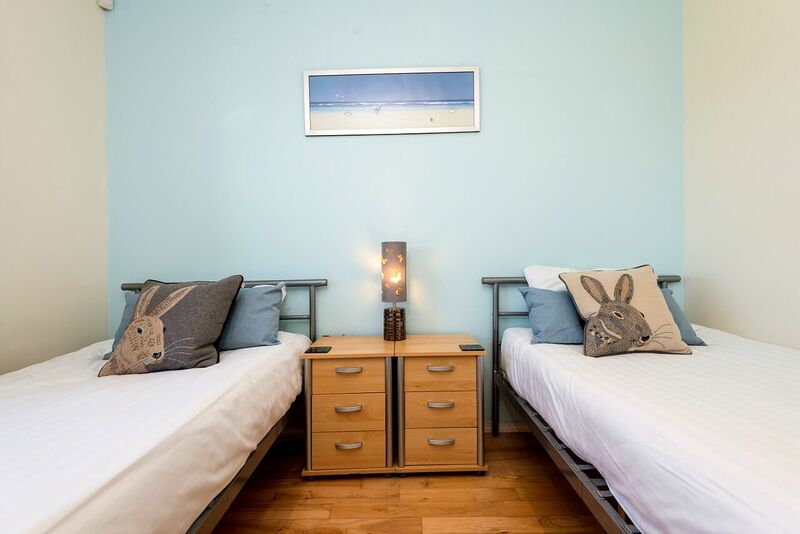 Two ground floor bedrooms, one double, one with twin beds. 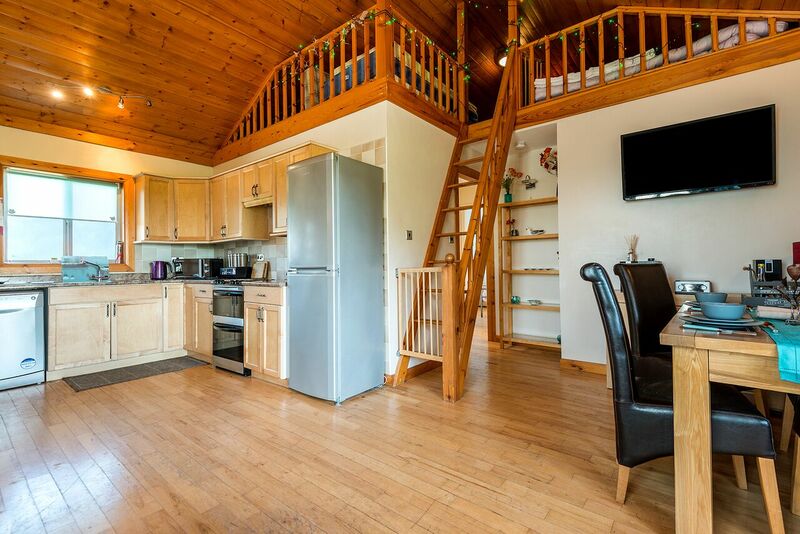 The galleried mezzanine level has a further double bed, which allows six to stay. 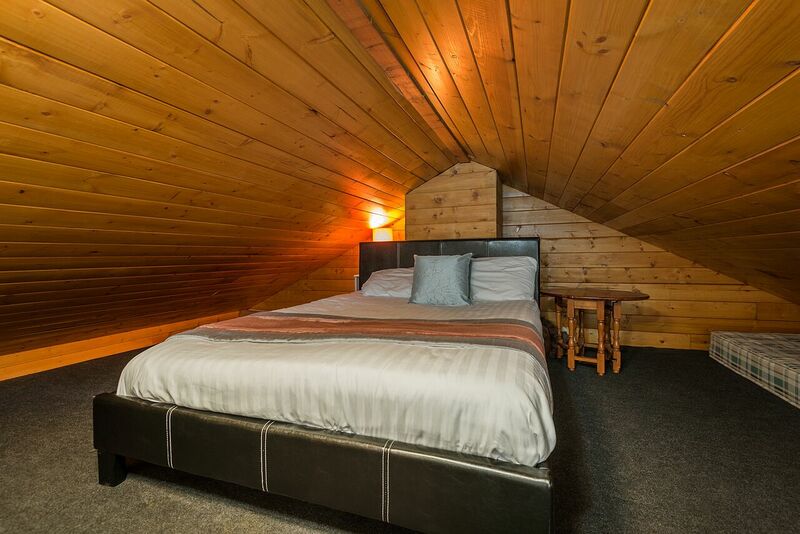 Also low ceiling to beware of! 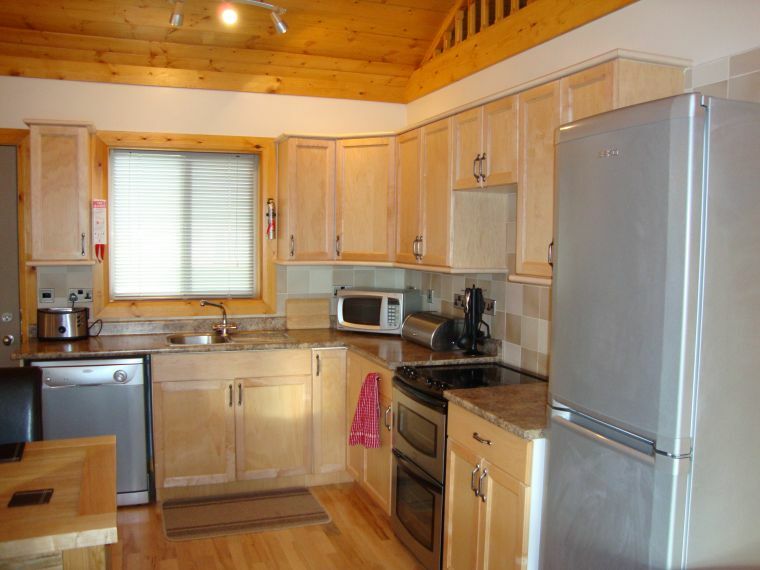 Maple kitchen with large Fridge/Freezer, dishwasher, microwave and all the pots, pans, cutlelry and crokery you may need. 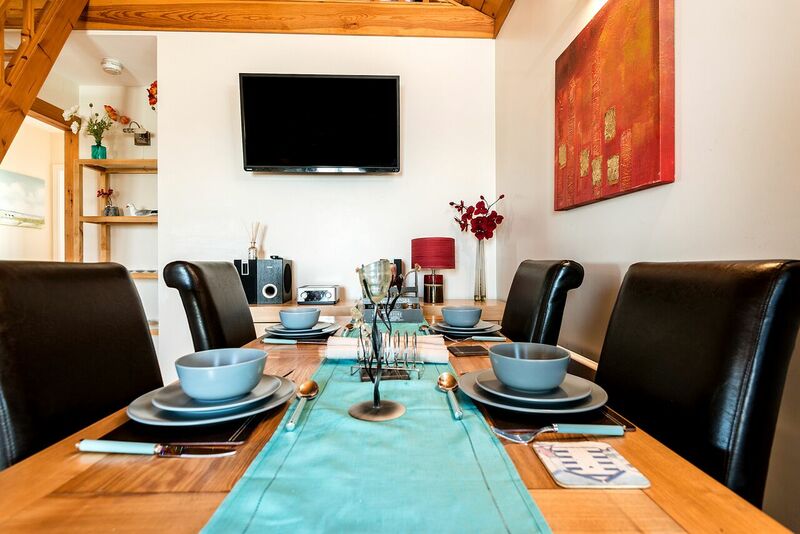 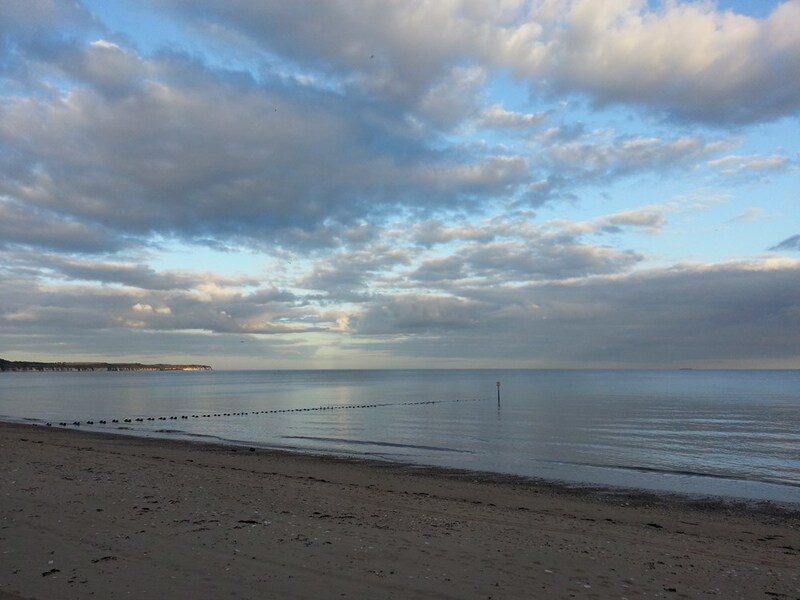 In addition we supply a selection of take-away menus and local restaurant recommendations, so everyone has a holiday! 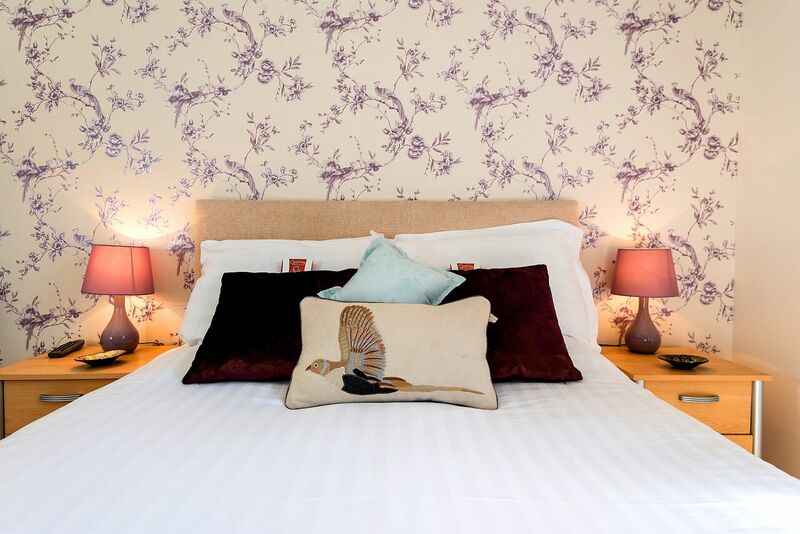 All the beds are made, ready for your arrival. 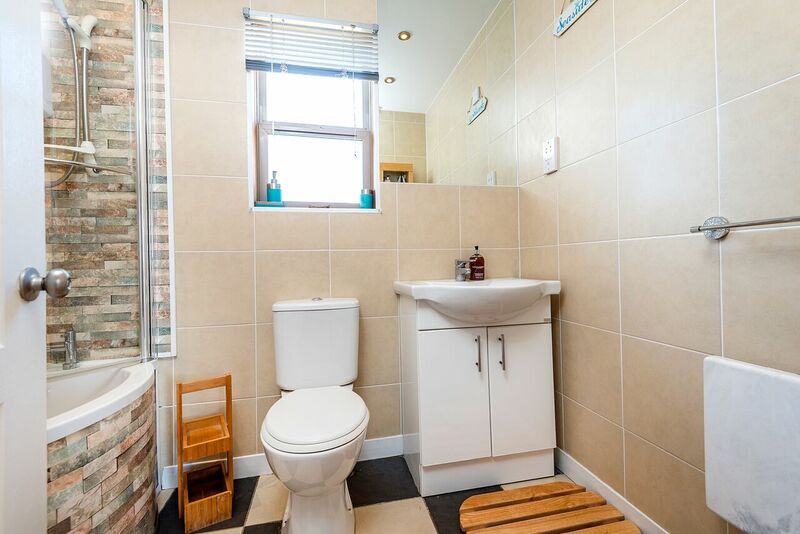 The fully tiled bathroom has a bath with shower over.